Carefully remove the wax before treating the stain. Nylon is a versatile fabric that is resistant to water -- but not to wax. 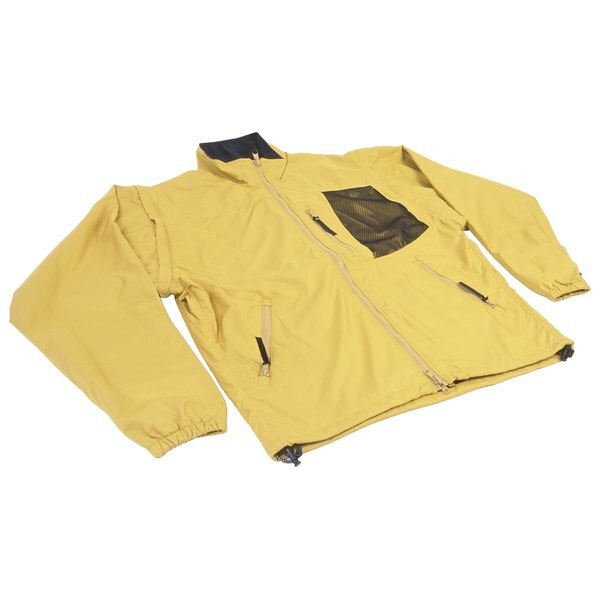 If you've spilled candle wax on your favorite nylon jacket, make sure that the garment is machine washable before you attempt to remove the stain. Before you head for the washing machine, however, follow some important pretreating steps so you don't damage the nylon and ruin your jacket. Lay the nylon garment on a flat surface. Grasp a piece of ice or an ice cube and rub it against the wax. The ice hardens the wax, making it easier to scrape off. After several minutes, carefully lift off the hardened wax with a butter knife. If the wax won’t budge, continue to work the ice cube over it until it hardens and can be scraped off. When most of the wax has been scraped off, cover the stained area with a paper towel. Preheat an iron on a low or medium setting. Once hot, carefully press the iron on the paper towel-covered stain for three to five seconds. The iron’s heat helps lift the ingrained wax from the nylon fibers. Remove the paper towel to check that the wax is gone. If not, continue the ironing method until the wax is removed. Treat the affected area with a commercial laundry stain remover. Moisten a white washcloth or paper towel with the stain remover and dab at the stain. Continue to dab at the stain until it's eliminated. Wash and dry the nylon jacket according to the label’s directions. If the nylon coat is labeled “dry clean only,” don’t attempt to remove the wax or stain and instead take the jacket to a professional.